Do you spend part of spring or summer trying to get rid of weeds? If so, the book Weeds –In Defense of Nature’s Most Unloved Plants by Richard Mabey might give you a new perspective on these plants that we consider to be invasive and essentially “in our way.” Since the development of agriculture, weeds have been seen as a problem. The concept of a weed was developed by man, and the classic saying “a weed is just a plant in the wrong place still applies. Weeds have served as food, fuel, medicine, dyes and have functioned as a building material for a variety of insects, birds and humans. I was surprised to learn that weeds are largely a consequence of human activity. We have delivered weeds to other areas in a ships’ ballast, in the storage areas of trains, in packaging materials, in wool and brewing merchants’ raw goods, in the soil of our plants that we import or export. The book is a biological and cultural history of weeds and covers the role of weeds in literature, art, folklore, and medicine. 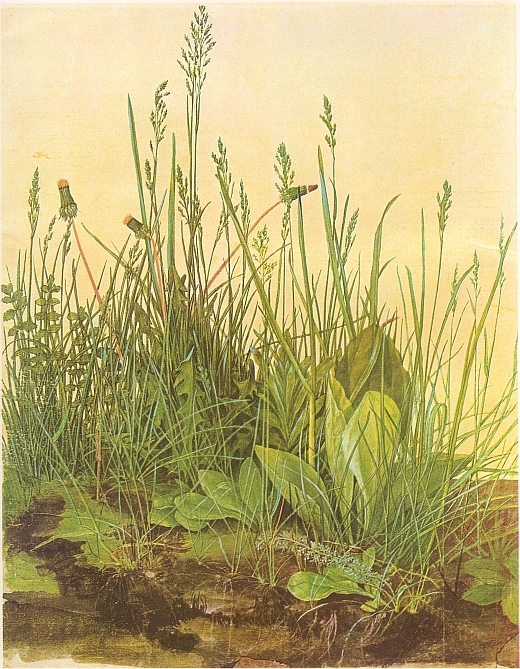 The book highlights the usefulness of weeds. Weeds stabilize soil, provide shelter for plants, control water loss, and can help repair landscapes affected by landslides, flood, fire, development and weaponry. After I go hiking and I return home surprised to see the back of my pant leg is covered with burrs, I am reminded by how ingenuous weeds are. They have evolved to have hooks, burrs, spines, rib hairs and even a glue-like substance in order to traffic their seeds to other places. Often the seeds of weeds can wait a long time, as much as 40 years, in order to grow. Many times when we try to get rid of weeds, we improve the health of the weed. Using a hoe often does not get rid of weeds with deeper roots, and chemical weed killers often can affect those who develop a resistance. Due to our actions, weeds have evolved to mimic the size, shape, height and coloring of plants favored by us to grow for food. Weeds sometime seem supernatural. They can grow fast, morph into new shapes, travel through ingenious methods, change color to adapt, and also endure rough conditions. Over the centuries, we have tried every conceivable method of getting rid of undesirable plants. In Medieval times, farmers tried curses and negative names: calling weeds names such as hellweed, devil’s claws, devil’s fingers, devil’s daisy, devil’s tether. In his book, Mabey promotes our acceptance weeds and writes that, “at a time of great environmental change and uncertainty, weeds may soon be all we’ve got left.” He recommends that we learn to tolerate them, and even celebrate them. When the snow melts, and the weeds start to pop up around my yard – I’m not sure I’m ready to celebrate them yet – but I do see them a little differently.